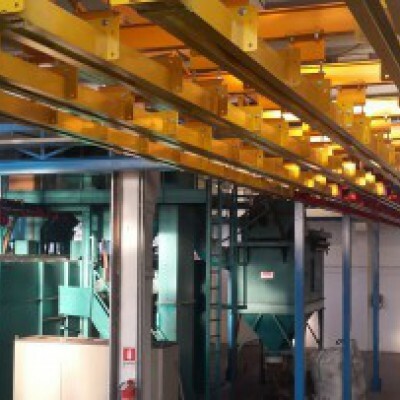 In the monorail conveyors, the function of bi-planar chain is twofold: traction and load-bearing. 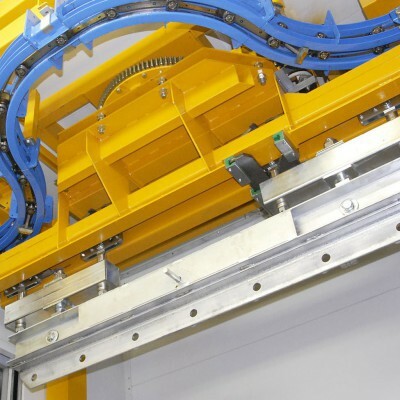 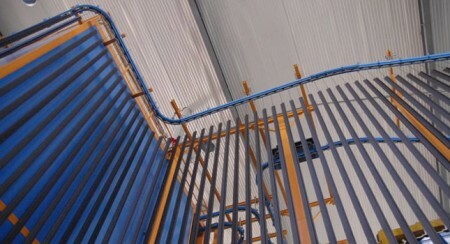 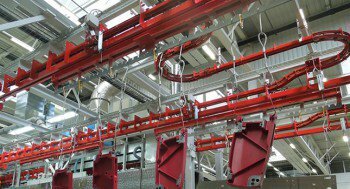 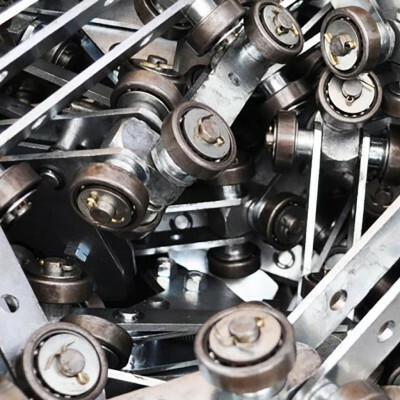 The movement of the materials on the monorail conveyors is ensured by this, formed by a load-bearing and directional mesh, which runs through a closed circuit inside the relative rail or sliding track with the ability to twist along both horizontal and vertical planes. 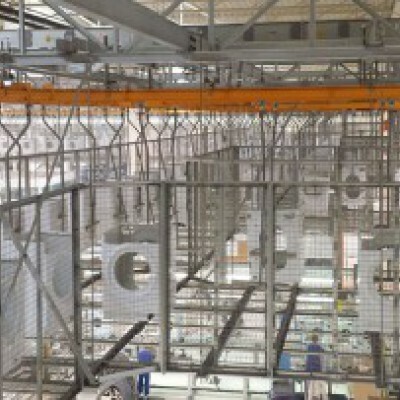 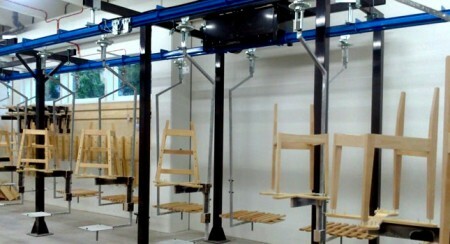 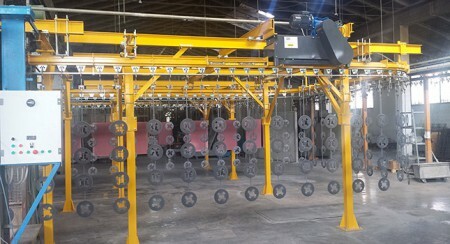 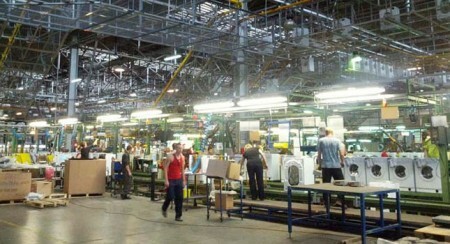 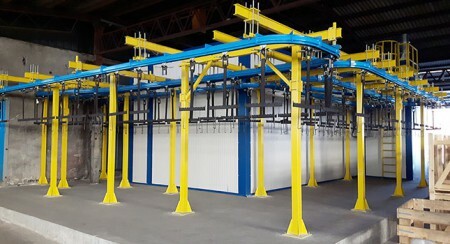 The items, loaded on attachments – also defined hooks (fixed or revolving) placed on a fixed pitch – follow all stages of production in order to reach the unloading area. 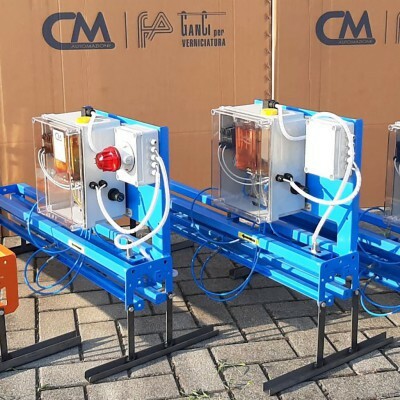 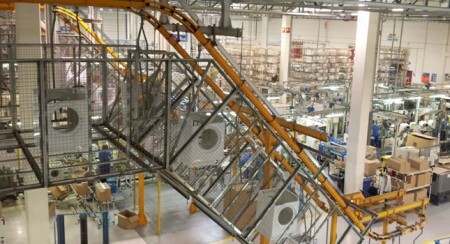 CM Automazione conveyors are easy to assemble and disassemble and have extreme flexibility in their layout/composition of the movement and transport circuits – based on path length, bends and curves, and weight of the loads to be handled - the bi-planar chains can be moved by one or more groups of motorized tow units that are suitably synchronized.